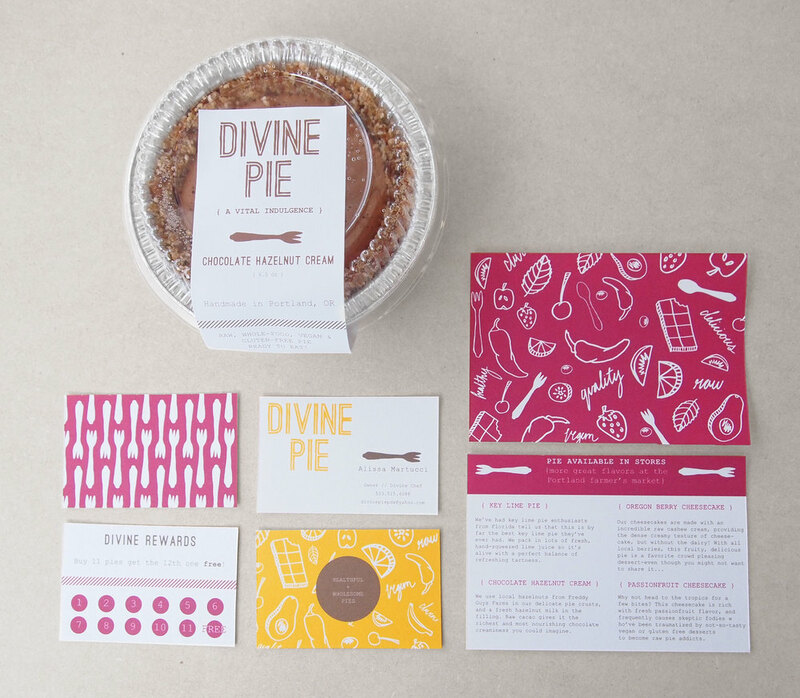 A pure indulgence: Divine Pie is a local and delicious dessert for the ingredient conscious. Pastry chef Alyssa Martucci’s business had recently expanded from small farmer’s market tent to freezer sections placement in Whole Food and other natural foods store up and down the West Coast. 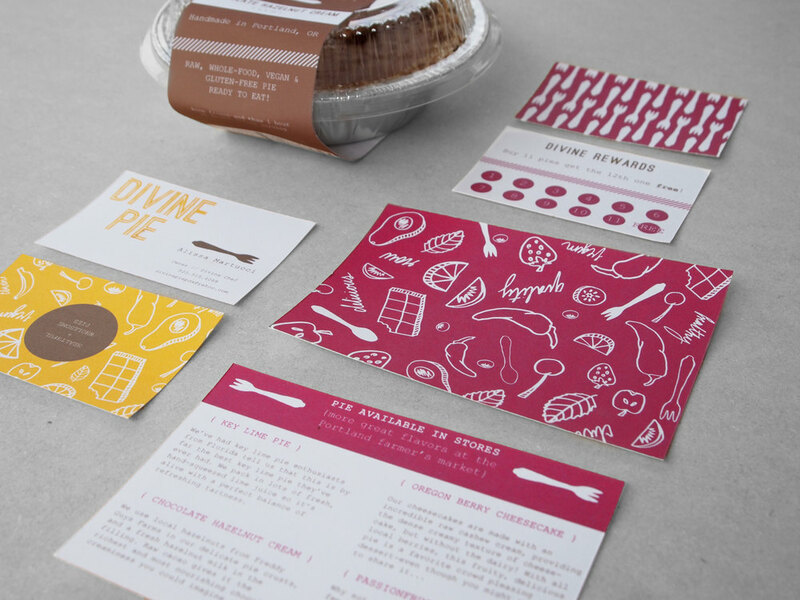 My answer was a simple and (more importantly) cost-effective packaging solution to get her pies on shelves and in the hands of hungry, sweet-toothed customers.